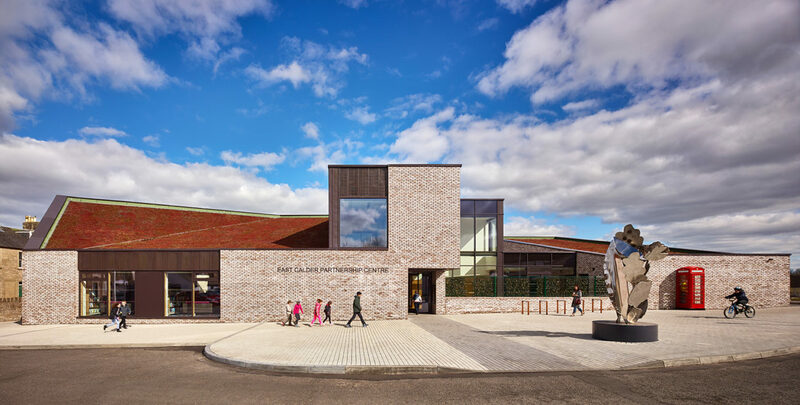 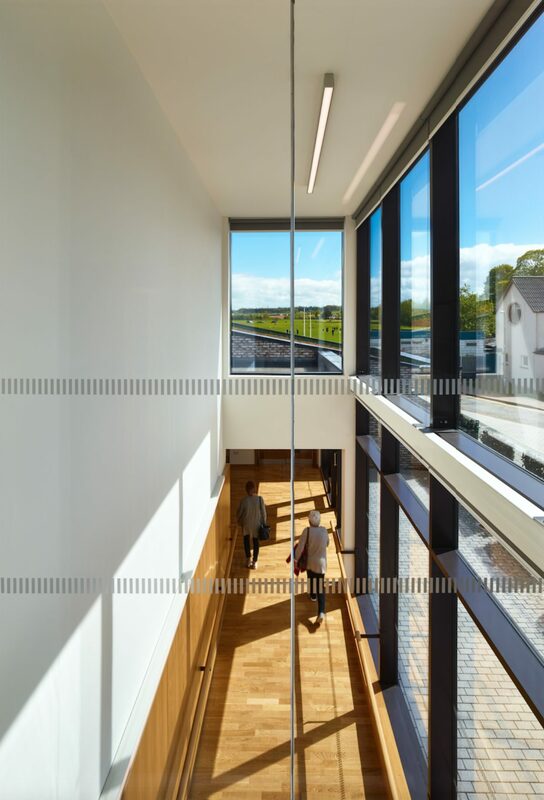 Collective Architecture has recently completed a new £3.5m Partnership Centre in East Calder, for West Lothian Council. 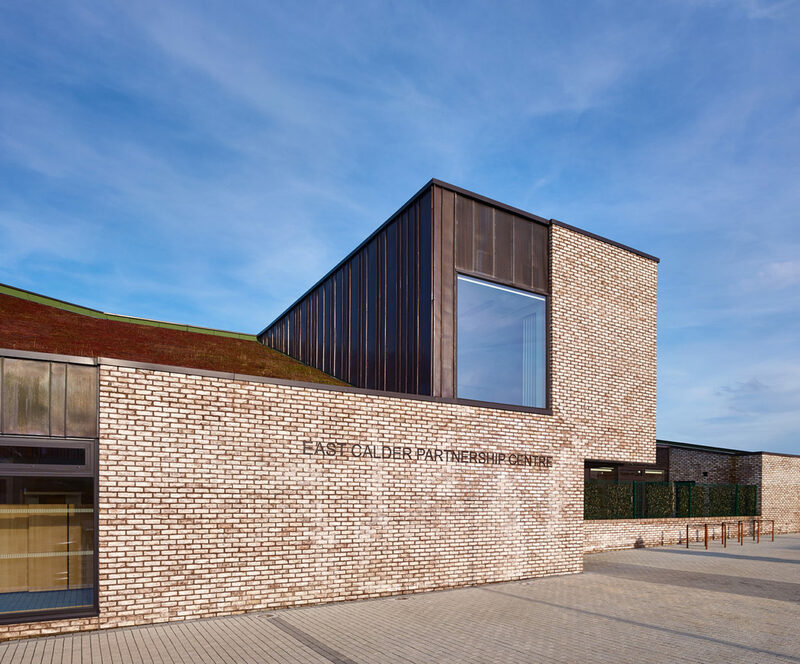 The Partnership Centre brings together the currently dispersed services in East Calder into a centrally located hub. 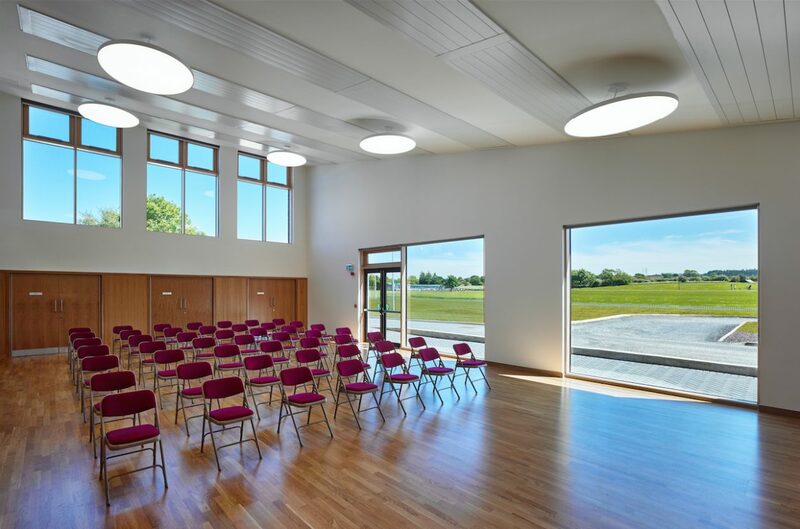 Services provided in the new facility include; the East Calder Community Library, Community Education & Resource Centre and changing facilities/breakout spaces for the local sports clubs. 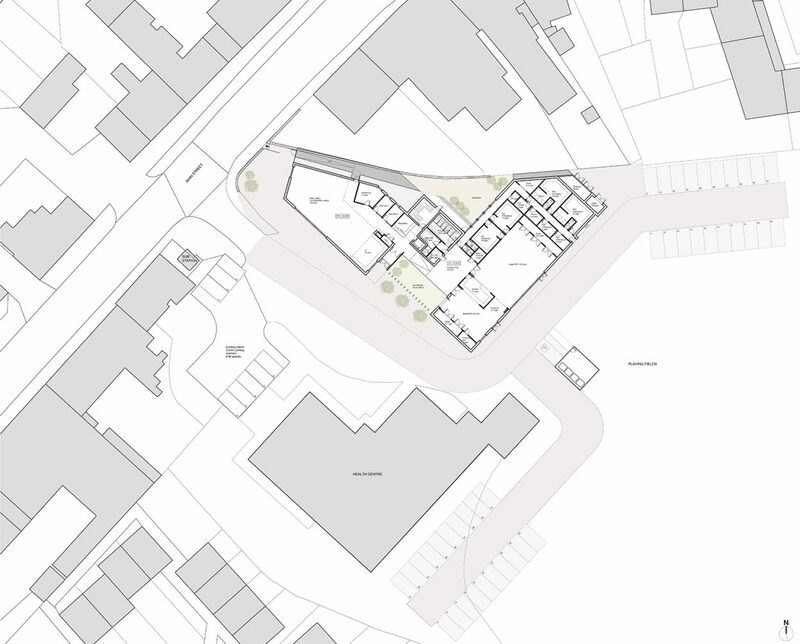 Building proposals were developed in parallel with a masterplanning strategy, which aimed to establish a green link through the town centre site and across Main Street. 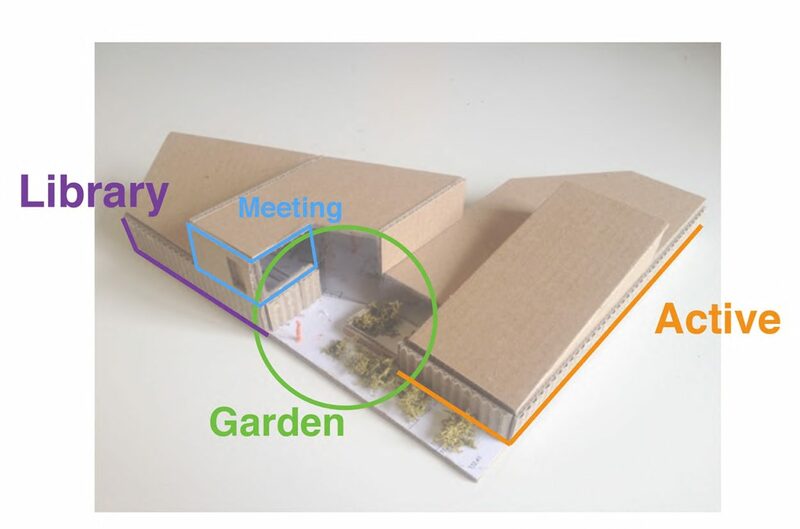 The green link is proposed as a shared space, which will create a new Civic Centre for East Calder, connecting the playing fields in the east and the River Almond to the west. 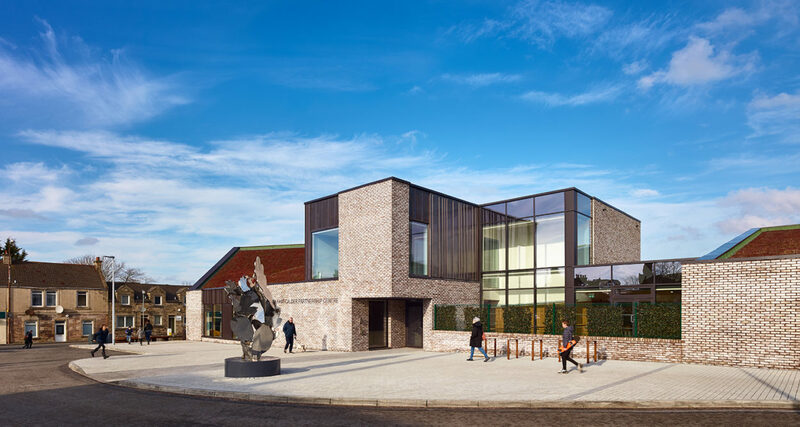 The two primary building uses of the library and community multi-purpose halls provide the opportunity to create a distinct building form of two volumes, which have been arranged around a south facing entrance garden and play area. 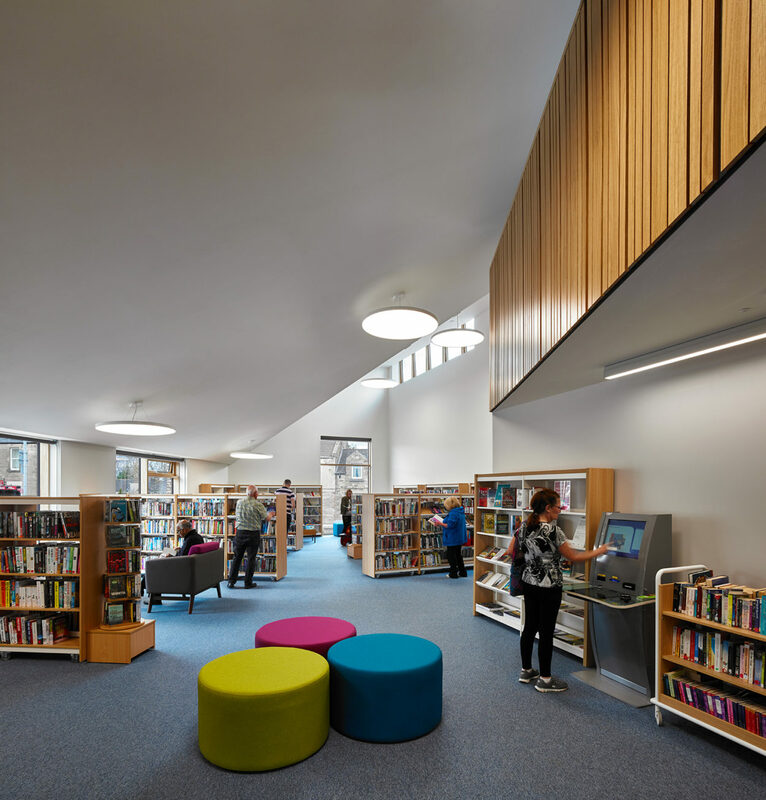 The community library has been located to overlook the Main Street, whilst the multi-purpose halls have been orientated to overlook and open out to the playing fields. 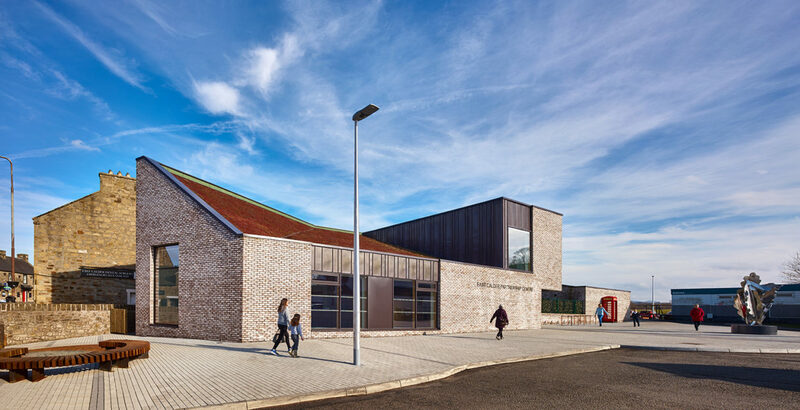 The two building volumes have green roofs to further emphasise the green link.